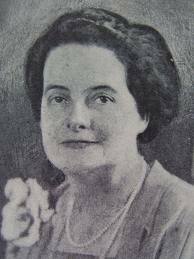 Alice Bailey is the author of 24 books written in cooperation with a Tibetan teacher, Djwhal Khul, between 1919-1949. 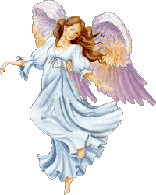 She said that most of her work was dictated to her by this ascended master. Her books contain ageless wisdom and esoteric teachings handed down from ancient times. She was born in Britain but later moved to the United States where she did all her writing. Alice Bailey was a theosophist and was influenced by H.P. Blavatsky’s writings. Amazon Synopsis: A Treatise on Cosmic Fire deals with the underlying structure of occult teaching for the present era and with those vast cosmic processes reproduced through all areas of life from universe to atom. A large section of the book is directed to a detailed exposition of Solar Fire, the Fire of Mind, since this is the dominant energy to be understood and controlled during this second solar system. Among other values, the book provides a compact outline of a scheme of cosmology, philosophy and psychology which serves as a basic reference and text book. A Treatise on Cosmic Fire is part of a set of 24 books by Alice A. Bailey, written in collaboration with a Master of the Wisdom. These books constitute a continuation of the Ageless Wisdom, a body of esoteric teaching handed down from ancient times in a form which always suitable to each period. Intended to precede and condition the coming era, the Alice A. Bailey writings offer an unparalleled spiritual approach to such subjects as the teaching on Shamballa and the Path of spiritual evolution; the spiritual Hierarchy; the new discipleship and training in meditation as a form of service; the teaching on the seven rays and the new psychology of the soul; and the common thread of truth linking all the major world faiths. Amazon Synopsis: A Treatise on White Magic is part of a 24 volume set of books by Alice A. Bailey, written in collaboration with a Master of the Wisdom. This book contains the Fifteen Rules for Magic (for soul control) -- the soul, the White Magician, becoming manifest through its own inherent magical powers. Man is essentially and inherently divine. The soul is the means whereby mankind evolves a consciousness of divinity, redeems gross matter and liberates the pure flame of spirit from the limitation of form. This book was delivered as a series of weekly lectures in 1921 and 1922, and published later in 1922. Bailey, even at this point in her career, shows a mature grasp of esoteric issues, and deftly brings in scientific concepts such as radioactivity and the fourth dimension. Unlike some other authors of this genre, she invokes leading-edge science when it moves the argument ahead, not to impress the reader with her erudition, or to baffle the audience with irrelevant facts. Amazon Synopsis: Esoteric Astrology is Volume III of A Treatise on the Seven Rays. In this book, astrology is described the science of relationships--the relationship existing between all living organisms within the universe. Not only the qualities of the ray energies affect these centres of consciousness, but also the quality and energy of the ruling planets and the zodiacal signs. Seen from the exoteric outside, astrology is a vast and most involved and complex subject. From the esoteric inside, while it is still vast, all-inclusive and complex. It is also possible to perceive the thread which unites and the pattern which prevails throughout the whole system. A basic simplicity in the grand design emerges, therefore, which can serve to interpret the whole. The appendix summarises and tabulates many factors of fundamental importance to the study of esoteric astrology. Amazon Synopsis: Esoteric Healing is Volume IV of A Treatise on the Seven Rays. In this book, the seven ray techniques of healing are described; the laws and rules of healing are enumerated and discussed; the requirements for healing are given in detail; and basic causes of disease are shown. We learn, for example, that much disease can be karmic in origin; that certain diseases are inherent in the soil and in the substance of the planet; and that many others are psychological, arising in the emotional or mental bodies. Amazon Synopsis: The books of Alice A. Bailey, written in cooperation with a Tibetan teacher between 1919-1949, constitute a continuation of the Ageless Wisdom--a body of esoteric teaching handed down from ancient times in a form which is always suitable to each period. Intended to precede and condition the coming era, the Alice A. Bailey writings offer an unparalleled spiritual approach to such subjects as the teaching on Shamballa and the Path of spiritual evolution; the spiritual Hierarchy; the new discipleship and training in meditation as a form of service; the teaching on the seven rays and the new psychology of the soul; the teaching on esoteric astrology; and the new world religion, which emphasizes the common thread of truth linking all the major world faiths. Amazon Synopsis: Of the few specialised subjects included in these books by Alice Bailey and the Tibetan, education is of primary importance. Today we are losing the tendency to associate education only with the instruction of the young and with academic matters. Education is, or should be, a continuous process from birth to death concerned not so much with the acquisition of knowledge as with the expansion of consciousness. Knowledge of itself is a dead end, unless it is brought into functioning relationship with environment, social responsibilities, historical trends, human and world conditions and, above all, with the evolution of consciousness which brings the infinite vastness of an unknown universe within the range of the finite human mind. To oversimplify, can we say that education is a continuous process of learning how to reconcile the human and the divine elements in the constitution of man, creating right relationship between God and man, spirit and matter, the whole and the part? If this is education in the broader sense, it is more specific and more concentrated when considered in the light of child training. This book is so concentrated and specific. While presenting the need for wholeness - development of the whole person, spirit, soul and body as an integrated unity, and acceptance of the planetary whole as the area of personal experience and responsibility - the educational needs of the child today are set out in specific terms. Faults and inadequacies in the present educational systems existing in many parts of the world are enumerated, and methods for the future suggested. Emphasis is placed on the need for education in world citizenship. Even before this book was first published this need had become startlingly apparent. It is also clear, however, that since children naturally tend to accept without question those of other nations, other races, colour, belief and social background, a world consciousness and inclusiveness must first be generated in those adults responsible for the education and the training of the young. Therefore, this book includes a brief final chapter on the science of the Antahkarana, meaning the creative effort to bridge in consciousness between the lower analytical, knowledge-gathering mind, the soul, and the higher mind which is an aspect of the divine Self, the spiritual man. These experiences are both symbolic and actual, setting guideposts along the way of the disciple. Some understanding of these Mysteries revealed by the Christ and the Master Jesus, as They exemplified the experience of the human soul through the five stages of its spiritual journey, can be invaluable to individual man facing the vast span of the same five-fold experience. This is probably the factor of greatest value and service to the aspirant, setting his feet on the Path of Return; that the experience of the Master Jesus, including that of the Crucifixion, the Great Renunciation, reflects through the lives of all human beings. Through the divine life in us, and as the Christ principle unfolds in our heart and consciousness, the sons of men walk the Way of the Cross eventually to become soul-illumined Sons of God. Knowing something of these things, aware of the spiritual journey before all men from stage to stage on the Path of Initiation, an exact service opens before the aspirant. Amazon Synopsis: In this book From Intellect to Intuition development of the intellect, while necessary, is shown as a means to an end and one step on the way to a fully awakened and active mental body. The intellect is the rationalising, analytical aspect of the mind, concerned with knowledge. It can be used as a stepping-stone to penetrate into new realms and dimensions of thought, and to touch and awaken the intuitive faculty of pure reason. Between the intellect and the intuition, however, a gap exists until it has been consciously bridged through meditation. Meditation is sometimes defined as thinking in the heart; correct meditation proceeds only when the heart and mind function together in unison. To touch the intuition, therefore, this blending of heart and mind is a necessity, since the intuitive sense is a faculty of the heart aroused by the activity of the integrated, three-fold mind. Meditation is also the deliberate application of discipline to the mind to render it controlled, concentrated and one-pointed at will. Right use of the mind in meditation opens the consciousness to the beauty, truth and goodness of the soul, through the five stages of concentration-meditation-contemplation-illumination-inspiration. These five stages lead to union with the soul - the son of mind - and direct knowledge of divinity, creating an instrument of intelligence for the soul to use in daily life. The experienced voice of the eastern wisdom comes to us with one word: Meditation. The question naturally arises: 'Is that all?' and the answer is: Yes. From Foreward: The subject of Initiation is one that has a great fascination for thinkers of all schools of thought, and even those who remain sceptical and critical would like to believe that this ultimate attainment is possible. To those who do not believe that such a goal is possible this book is offered for what it may be worth as a formulation of an interesting hypothesis. To those who anticipate such a consummation of all their endeavours, this book is tendered in the hope that it may prove an inspiration and a help. Among occidental thinkers at this time there is a wide diversity of view upon this momentous subject. There are those who think that it is not of sufficient immediate importance to engross their attention, and that if the average man adheres to the path of duty and high-minded attention to the business in hand, he will duly arrive at his destination. This is undoubtedly true, yet as capacity for increased service, and the development of powers to be used in the helping of the race are the reward of the man who is willing to make the increased effort and to pay the price which initiation demands, perhaps this book may spur some on to attainment who might otherwise have drifted slowly towards their goal. They will then become givers, and not the recipients of help. Amazon Synopsis: Ponder On This is a popular and comprehensive introductory book to the ancient wisdom teachings, with contents arranged in alphabetical order. This book is a general reference to the entire 24 book collection of ancient wisdom teachings written by Alice A. Bailey, in cooperation with a Master of the Wisdom. Topics include: The Ancient Mysteries, Courage, Crisis, Guidance, Joy, Mind, The New Age, Reincarnation, Healing and much more. This book is also available as an MP3 audiobook. Amazon Synopsis: The Rays and the Initiations is the fifth and final volume of A Treatise on the Seven Rays. The seven rays contain the fundamental spiritual structure on which the next presentation of the Ageless Wisdom teaching will build. The Rays and the Initiations is presented in two parts. The first part enumerates and details the Fourteen Rules for Group Initiation. These are the rules for disciples and initiates, paralleling on a higher turn of the spiral, the rules for applicants contained in Alice A. Bailey's book, Initiation, Human and Solar. The second part of this volume on the seven rays explains the nine major expansions of consciousness through which the initiate becomes progressively liberated from the various forms of our planetary life, ultimately proceeding upon his chosen Path of development and service within the universe. There have been many such messengers over the ages, manifesting through one or another of the great world religions or followed by a new form of religion based on the new revelation. Divine revelation and the periodic appearance of messengers, or Avatars, occur, however, according to cosmic law, when certain conditions exist within the whole scheme affected by, and affecting, every part, large and small. Then a chain of events is set in motion which under law must eventually work out. The part that our little planet Earth plays in this intricate and smoothly functioning system of inter-relationships seems to be of vital importance at this time. The esoteric and planetary significances of the reappearance of the Christ are suggested in this book as underlying causes for His Aquarian service to humanity. This is the beginning and end of an age - the beginning of Aquarius and the end of Pisces - marking also a major turning point in the evolution of human consciousness from individual need to the needs of humanity as a whole, from personal salvation to world service, and from materiality to spirituality. It seems that this climaxing transition must be marked in both its stages, beginning and end, by the Christ Himself, and a principle anchored in human consciousness, which embodies not only the love of God established for the age of Pisces, but also the new potency for the future, the Will of God, into which only the Christ is as yet fully and perfectly absorbed. The imminence of the reappearance of the Christ is sensed and expected by many, belonging as He does to all humanity irrespective of differing religious dogma and doctrine. He for whom all men wait will Himself determine the manner and the timing of His appearance and the area of His work in a way which creates no divisions or separations between men, either religious, social or ideological. Not only does He come as the first Son of God, but as Head of the spiritual Hierarchy, the inner government of the planet. He is, therefore, a great world executive, representing the Kingdom of God, and fulfilling a definite function in the world of men. He is coming to establish through precept and example in world service the principles on which a united, interdependent and interactive world may create its new material systems and spiritual institutions for the new civilisation. Preparation for the second coming is the responsibility of humanity; it is for those who know and accept the imminent return of the Christ to prepare men's minds and hearts to recognise and receive Him, and to create those conditions of balance and spiritual alignment which will ultimately draw Him forth into our midst. For no matter what message or revelation the Christ may embody when He comes, no matter what principle or energy He may anchor on Earth for human use, He is not coming to save humanity from the results of its own sins, but once more to show humanity how to save itself in the new conditions and new opportunities with which the world is faced. Amazon Synopsis: It is an established and accepted occult fact that the soul works through the mechanism of the three-fold personality in stimulating the three worlds of human evolution - the mental, the emotional and etheric/physical planes of consciousness. In this book the method by which the soul and the personality vehicles interact and function together is clearly presented. The author also reveals the relationship between what the occultist accepts in the constitution of man as the vital body, the etheric network with its energy vortices, or centres, and the physiological effects on the body through glandular secretions directly into the bloodstream. This is the endocrine system of glands, which correspond in the physical body to the energy centres in the etheric body and which, therefore, react to the type and potency of force the etheric body circulates at any one time. Human behaviour, and the disposition of the physical body, are conditioned by the extent to which the personality vehicles either receive or reject the impulses of the soul; and this is conditioned by the emphasis or focus of consciousness at any one time. The physical vehicle is not a principle; it responds to any dominant force expressing itself through the etheric system of energy centres.